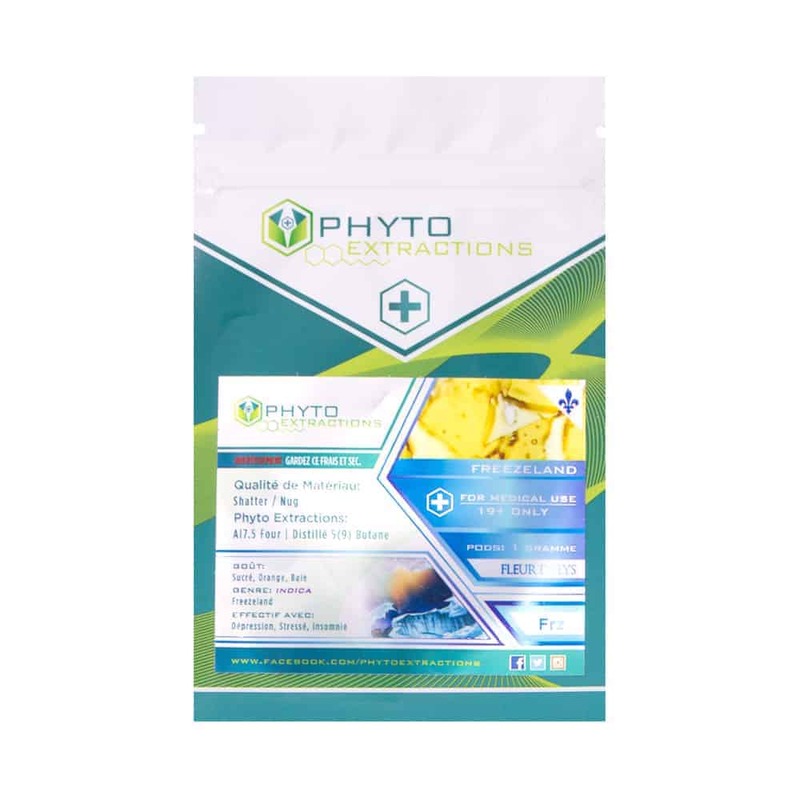 2 reviews for "Phyto – Freezeland – Indica Shatter"
I am extremely impressed with Goldbuds. I ordered 10 different strains and this one was my 3nd favourite out of the bunch. I have been looking for strains that will help with my insomnia. Freezeland was very good at getting the job done. After about 15-20 minutes you start to get very relaxed, and you just melt into your bed. Then before I know it I’m waking up feeling very rested, and can’t wait to get another good night sleep. This will be a repeated strain in my many future orders. Keep up the amazing work!